The USA round of the FIA World Rallycross Championship presented by Monster Energy moves to the iconic Circuit of the Americas for the first time and will feature a line-up of exhilarating wheel-to-wheel racing, amazing entertainment from the world famous Ludacris and classic Austin street food. New to the championship? Well check out the video to see what it's all about! 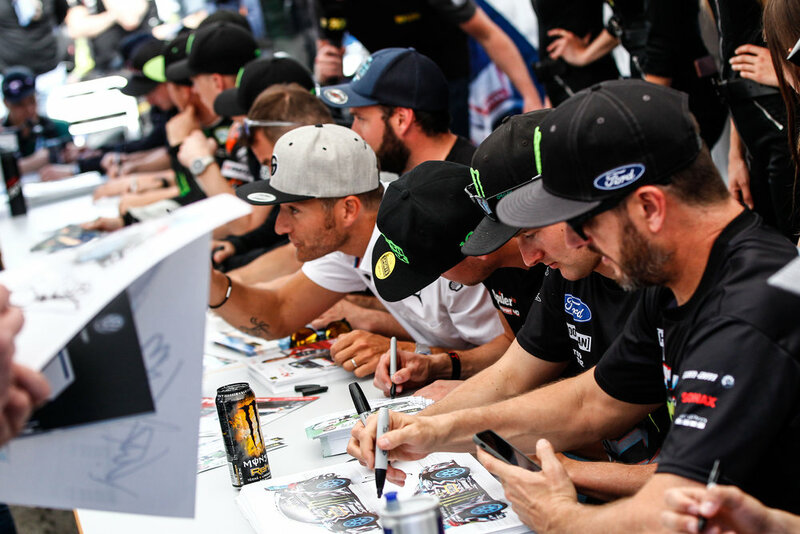 Autograph sessions will give you the chance to meet the World RX Stars face to face! These will be run on both Saturday and Sunday and will be open to all attendees. Stay tuned for times to be announced! The Monster Energy Rig Riot is where the party is at! Get up close and personal with the team of Monster Energy girls and athletes as they fire out T-shirts, blast out the music and deliver autographs from the stage! This one is not to be missed! Finish watching the racing and head straight to the Austin360 Amphitheatre to experience the Grammy award winning LUDACRIS plus more support acts. The performance by the Fast and Furious star will be on Saturday evening so get ready to ROLL OUT!